If you own rental property, then you can't afford to miss this landlord insurance guide. Read on for credible landlord insurance information that you can trust. A landlord is exposed to much more risks than the average homeowner. That makes it so much more important to know what is landlord insurance and how to make sure that you are adequately insured against any sudden or unexpected losses. Besides in-depth explanations on the different types of landlord insurance coverage (and whether you'll need), we will also help you save money by showing you how to lower your insurance rates and premium costs. PART 1: What Does Landlord Insurance Cover? Master the important basics here. Learn what is landlord insurance, how it differs from regular homeowners insurance and what type of coverage that you should choose. While landlord insurance is an unavoidable expense, there are effective methods to cut your insurance costs. This landlord insurance guide will show you how to minimize your insurance premiums without compromising your coverage. 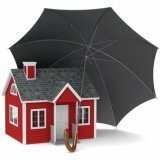 What Does Landlord Liability Insurance Cover? Landlord liability is one of the most essential insurance coverage so let's take a closer at it. Learn how to protect yourself from losses due to lawsuits filed by tenants or your housing authority. If your rental property is partially or fully furnished, then you'll need to pay extra attention to your contents insurance. Find out if you should buy contents insurance and what type of coverage to go for. PART 1: What Does Renters Insurance Cover? PART 2: Should You Buy Renters Insurance? Landlord insurance information: Whether you're a landlord or tenant, learn all that you'll need to know about renters insurance right here - What is it, what it covers, how much does it cost and whether you'll need it.